ArtBurst is one of the most spectacular fine art fairs in our area. 44 visual artists are selected by a jury to exhibit fine art in a variety of mediums. Regional artists display, demonstrate and sell their works. Enjoy musical entertainment on the grassy lawn from 10 am to 12 pm, and 4 pm to 6 pm. All events are located on the Sioux County Courthouse Lawn. Saturday from 9 am to 4:30 pm. This event is free to attend. Make checks out to “Orange City Tulip Festival” and put “ArtBurst” on the memo line. The Tulip Festival Craft Show is a new event for the 2015 festival. Upon a visit to the show, you’ll have the opportunity to enjoy unique, handmade items by 18 area crafters. Only handmade, original items made by crafters will be allowed in the show. Crafters are encouraged to include Dutch items as a portion of their items to sell. No food or beverage items (breads, canned items, etc.) or no third party vendors will be accepted. Booths will be approximately 10’ wide by 8’ deep. Electricity is not available for the booths. The Craft Show will take place in the basement of Iowa State Bank, located at 105 Albany Avenue SE, from 10 a.m. to 6 p.m on Saturday, May 16. Applications for the 2015 Tulip Festival Craft Show are closed. We will release information for the 2016 craft show as it becomes available. Thank you!  The Tulip Festival draws thousands of visitors to Orange City each spring. Our three-day festival is internationally recognized and a profitable destination for concessions vendors. If your schedule is free the third weekend in May, we encourage to fill out the form below, and the Concessions Coordinator will contact you soon. Please note that we do not have merchandise vendors at our festival at this time. Applications for our 2016 festival to be held May 19-21 are due on March 1, 2016.